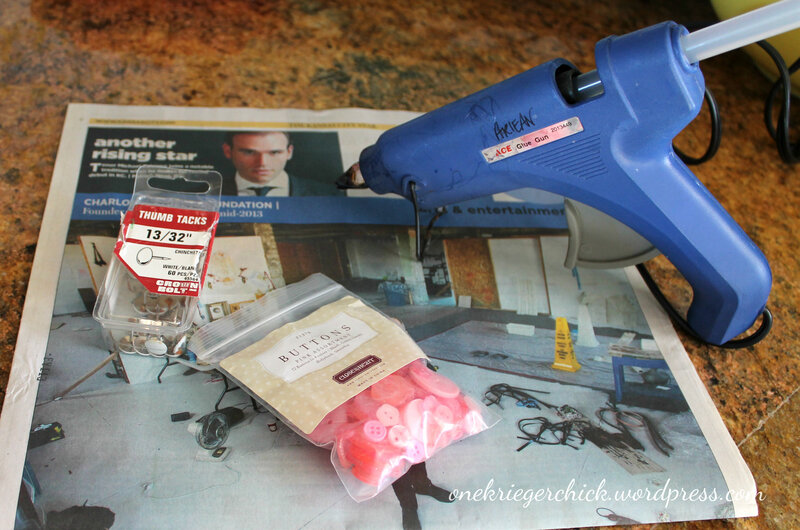 As promised, here is my easy solution for stylish tacks…Embellish any plain jane bulletin board to suit your style or home decor in just minutes! 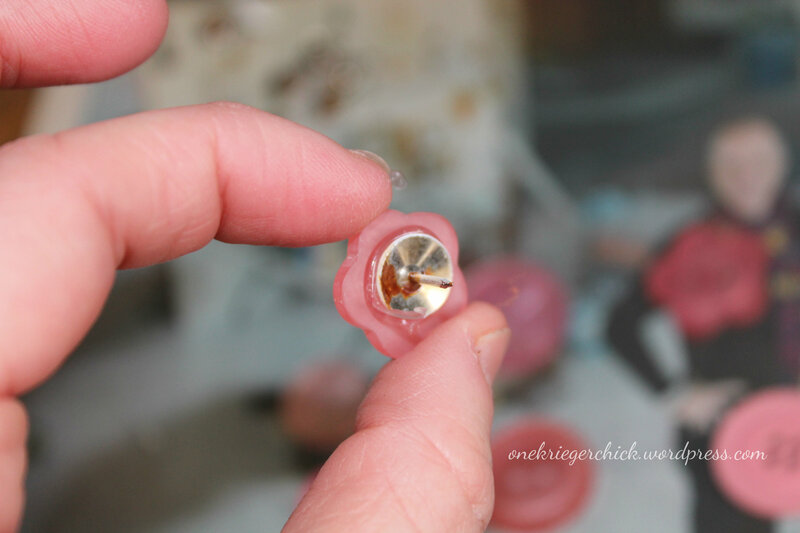 Apply glue to the flat part of your tack and press onto button. Lay all buttons upside down on your work surface, apply glue to back of buttons and press tacks into glue. Sorry about the rust on the tack…only a couple were like this and of course one made it into the picture…Oops! 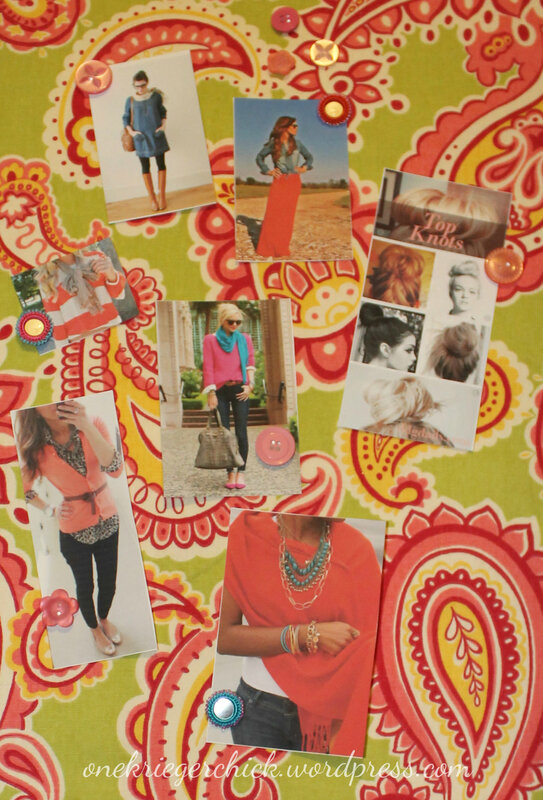 Here’s how they look on my Clothing Inspiration Board I just added to my Closet Makeover…Love it! 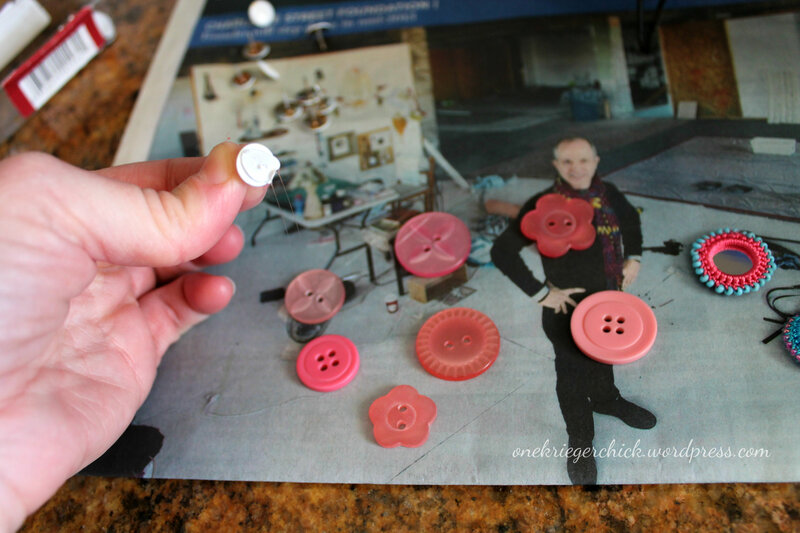 Think I may be making some with car buttons for my boys room…SO much cuter than the plain tacks! Scrabble tiles make cute push pins too! I never seem to find any when I’m out thrifting/garage saleing…They would be super cute in my boys room!